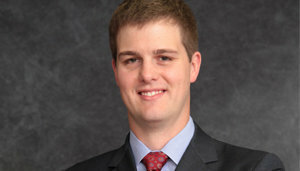 Eric R. Hunt is a partner at Rakoczy Molino Mazzochi Siwik LLP. Mr. Hunt has substantial experience in complex litigation before federal district courts involving a wide range of chemical, biologic, pharmaceutical and scientific technologies, with particular emphasis on patent infringement suits involving prescription pharmaceutical drugs, including under the Biologics Price Competition and Innovation Act (BPCIA). He is also active in the firm’s regulatory counseling and litigation practice, advising clients concerning statutory and regulatory issues arising under the Federal Food, Drug, and Cosmetic Act. Mr. Hunt has extensive patent litigation experience, both at the trial and appellate levels, and is intimately familiar with the statutory and regulatory framework surrounding suits arising under the Hatch-Waxman Amendments to the Federal Food, Drug, and Cosmetic Act and the Biologics Price Competition and Innovation Act (BPCIA). His experience includes all aspects of complex federal litigation, including pre-filing investigations, discovery, motion practice, preliminary injunction proceedings, Markman hearings, pre-trial and trial practice, and appellate practice. Mr. Hunt’s broad litigation experience includes a variety of technological fields, including small molecule chemistry, pharmaceutical compounds, pharmaceutical formulations, polymorphic forms of active pharmaceutical ingredients, immediate and extended release dosage forms, and pharmaceutical dosing methods. Mr. Hunt also has significant involvement in the firm's regulatory counseling and litigation practice, including statutory and regulatory issues arising under the Hatch-Waxman Act, the Medicare Prescription Drug, Improvement, and Modernization Act (MMA), and the Biologics Price Competition and Innovation Act (BPCIA). He has experience in several regulatory disputes arising under the Administrative Procedure Act, including actions brought against the FDA, both at the trial and appellate levels. Mr. Hunt also has experience with the filing of citizen petitions, related comments, and other administrative submissions with the FDA. Forest Labs., Inc. v. Amneal Pharms. LLC et al. (D. Del.) (memantine).